SAP® remains one of the world’s top enterprise resource planning software (ERP) providers, helping organizations manage business operations and meet customer demands. ERP systems house valuable business, financial and customer data. SmartExporter provides a simple and flexible solution to access all relevant data within an SAP system. Select from standard lists of SAP® tables and fields or upload your company’s customized list. Add filters to the data request to narrow the scope. Each data extraction and relevant information is automatically documented, including the table names, file size, date of extraction and number of records. 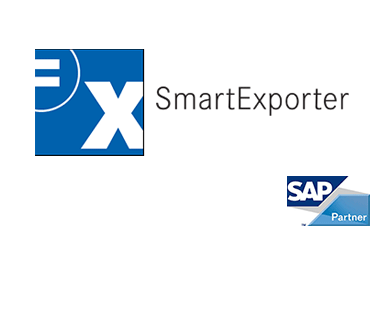 SmartExporter allows you to pinpoint and export the precise SAP® data that you require for your analyses and audits. Data requests are generated on the user’s computer, not in SAP, and can be scheduled for immediate download or for a specific time to reduce impact on the system. Exports can be scheduled for immediate download or for a specific time during off-peak business hours. You can also scale the usage of SAP system resources to fit your specific needs. Once you configure the data request by defining the tables, fields and filters, you can save it as a favorite and reuse the request. SmartExporter offers various output formats including IMD/IDM (IDEA), CSV, Access, CSV, TXT, SAP AIS, and files formatted according to the default data structure. You can also stream data directly from your SAP system to an ODBC data source. SmartExporter comes with a variety of editions and licensing models tailored to suit the needs of your organization. Choose from desktop, client or server options. SmartExporter allows you to access the exact SAP data you need fast with minimal system impact. To prove it, we monitored the system impact time required to pull thousands of records each day in varying file types using SmartExporter – the results were impressive.